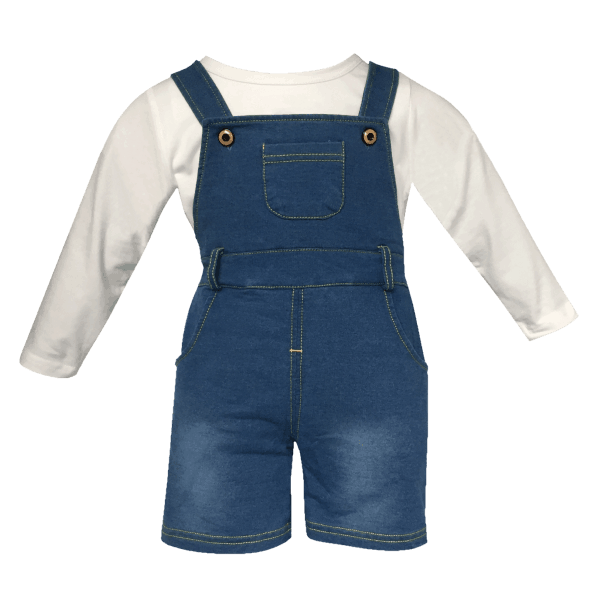 INFANT SHORTALLS SET IN SIZES TO FIT 3-6, 6-9 AND 12-18 MONTHS OF AGE. SUITABLE FOR BOTH GIRLS AND BOYS. 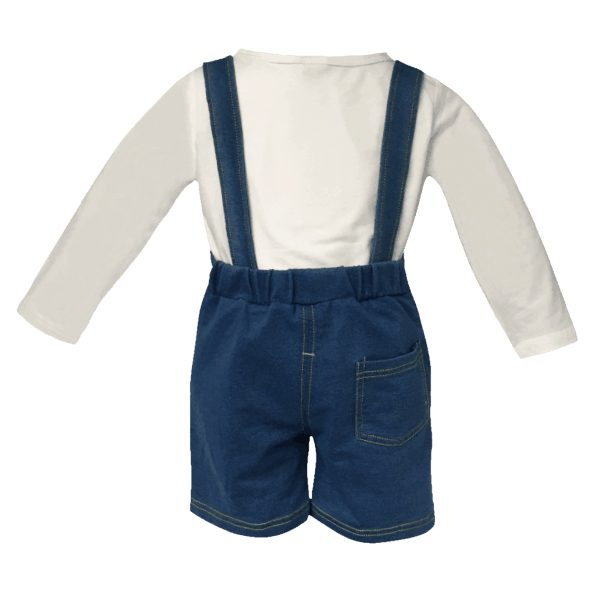 SOFT COTTON DENIM-LOOK SHORTALLS WITH BUTTON DOWN SUSPENDERS, SIDE AND FRONT POCKETS. 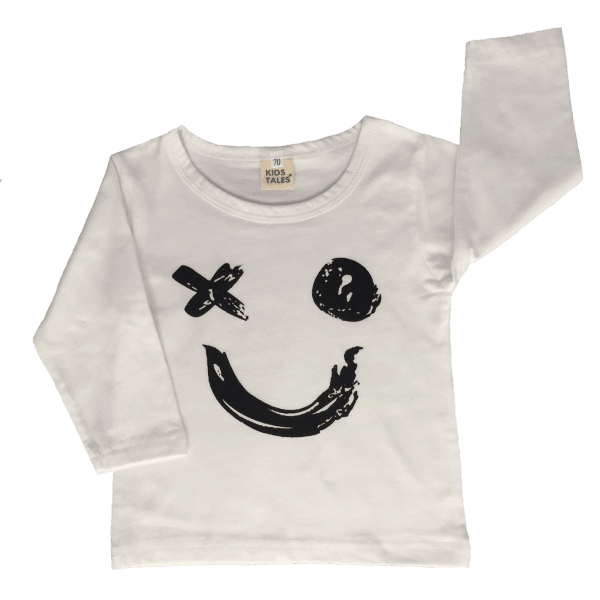 MATCHED WITH A LONG-SLEEVE COTTON T-SHIRT WITH A SMILEY FACE PRINT ON THE FRONT. SMART CASUAL OUTFIT IDEAL FOR AUTUMN OR SPRING. MACHINE WASHABLE FOR EASY CARE.